Brown-headed Cowbirds are small dark birds, related to orioles, grackles and blackbirds. Males have iridescent black bodies with brown heads; females are much duller, with a brownish-grey overall plumage. 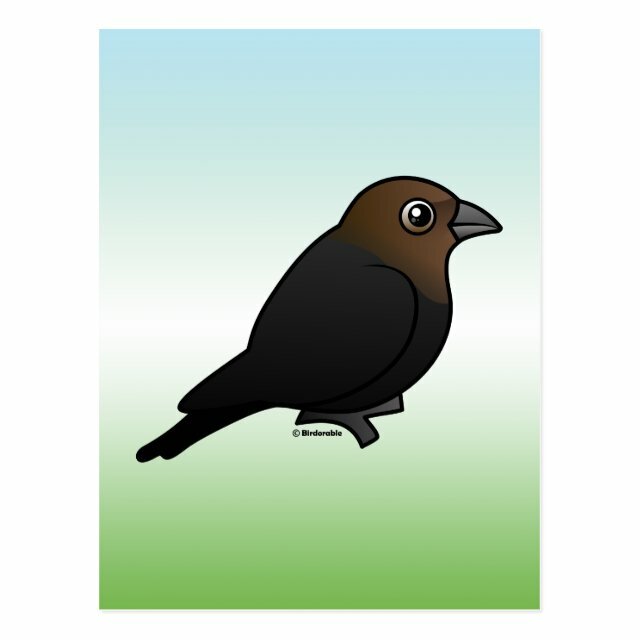 This is our totally cute Birdorable Brown-headed Cowbird! You can totally customize this gift! Move the bird around, change the color or style, add your own text or images -- make it your own!